Executive Coaching has proven to be particularly effective because we usually do not advise our coachees what to do but use our coaching mindset, processes, and competencies to assist our clients in finding out what they would need to do differently to get to where they want to be faster and with increased chances. While sharing their own experiences is an added value coaches may offer, we find that executive coaching is more effective when coachees have full ownership over their solutions and actions, leading to positive transformation and development. Contact us today to for more information on how we can assist you with our innovative 1:1 Executive coaching solutions. today to for more information. 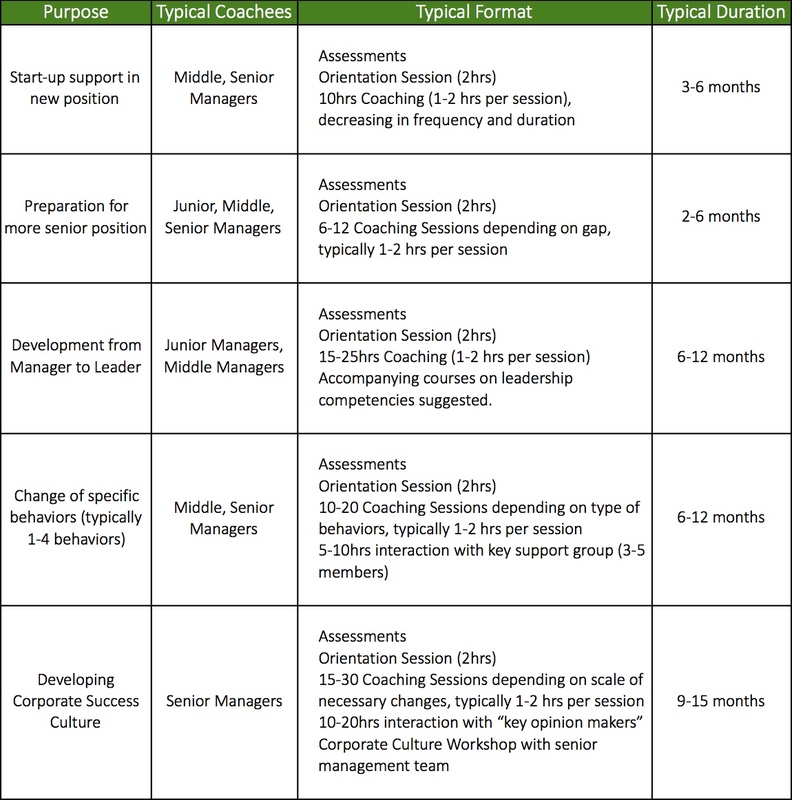 For more info on how coaching could be useful to your organization, feel free to read the "Executive Coaching Case Studies"